Airport food and beverage operator SSP has announced it will be entering the South American travel market for the first time after securing contracts with two of Brazil’s main international airports in Sao Paulo and Rio de Janeiro. The agreement is a joint venture partnership between SSP and Duty Free Americas (DFA) that is worth about £70 million (approx. US$89.2 million) and will last nine years. The new contracts will offer a mix of international brands at Aeroporto Internacional de São Paulo (GRU), the largest airport in South America, and RIOgaleão – Tom Jobim International Airport. The airports welcomed approximately 40 million and 16 million passengers a year, respectively. Upper Crust, Jamie’s Deli from leading celebrity chef Jamie Oliver, Italian brand Barzetti, Mexican-themed concept Mi Casa Burritos, hot dog brand Monty’s Dogs & Cones, sports bar O’Learys and healthy eating brand Camden food co. The outlets will launch in Spring next year. 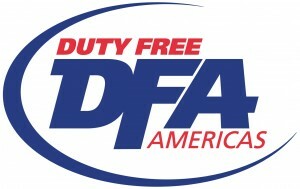 DFA operates 236 stores in 13 countries in North and South America and the Caribbean, offering an extensive range of cosmetics, tobacco, jewelry, wines, spirits and luxury goods.